If you have trouble falling asleep, staying asleep, or both, you may have insomnia. It is a sleep disorder that is quite common and may be acute or chronic. Usually, insomnia is not a disease on its own but rather, a symptom of another imbalance. Tracking down the root cause of insomnia is important to treat it properly. In addition, lifestyle changes, such as starting a regular yoga practice can also help. And it’s not just the more common asana and meditation practices that most people are familiar with that can help with insomnia. The practice of Yoga Nidra, or Yogic Sleep, is particularly beneficial for those with insomnia. Mental health disorders may also cause insomnia. Depression and anxiety are two common psychiatric diagnoses for which insomnia is a symptom. In addition, some medications that are used to treat many of these physical and mental health issues may also cause discomfort and imbalance that lead to insomnia. Unhealthy lifestyles can trigger insomnia without any underlying problem or make insomnia caused by an existing medical or psychiatric disorder even worse. All of these activities disrupt the body’s normal sleep cycle and may lead to insomnia. 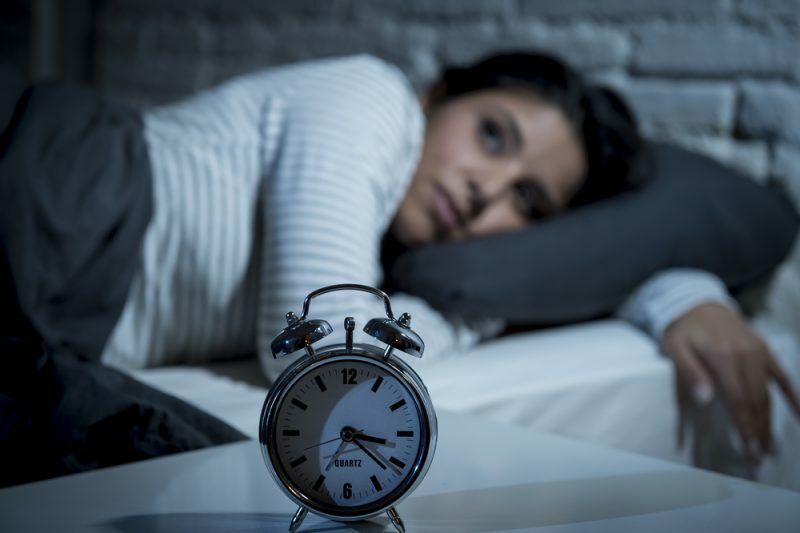 But according to the National Sleep Foundation, insomnia is treatable and there are several options, depending on what is causing your sleeplessness. Over-the-counter medications, behavioural therapy, stimulus control, cognitive therapy, and relaxation training are just some of the suggestions for treating insomnia symptoms. Yoga Nidra, or Yogic Sleep, is a kind of yoga that has been found to be most effective for those with insomnia. It promotes deep relaxation on both mental and emotional levels and it has been said that just a 30-minute practice of Yoga Nidra is equivalent to four hours of regular sleep. 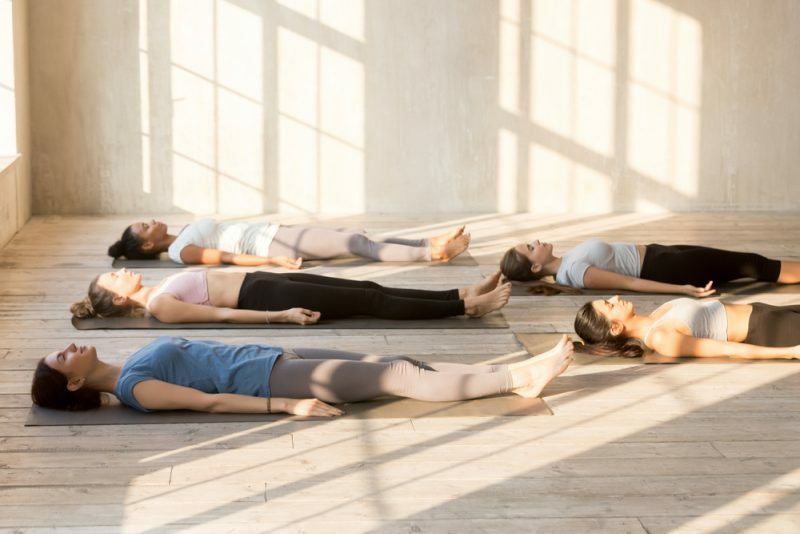 Unlike a yoga asana class, Yoga Nidra is practiced by laying down with eyes closed and listening to a guided practice that includes body awareness, visualization, and focusing on a resolution or an intention. The practice also involves breathing techniques and other exercises that allow you to shift from left to right hemispheres of the brain and enter a Theta brainwave state which promotes learning and deep meditation, and allows you to regulate emotions much better. Yoga Nidra helps you stay relaxed and alert at the same time. Practitioners have shared that even if they are sleepy, they do not fall asleep during a session although they are laying down with their eyes closed. Those who are alert as they start a Yoga Nidra session, have said a 30-minute guided class helps them feel rested and rejuvenated. The restful state that Yoga Nidra promotes in the body helps with healing and improvement of overall physical and mental health. Rest enhances the immune and metabolic systems of the body leading to higher energy and more balanced mental well-being to help with insomnia, anxiety, and stress. You will need a mat or a thin cushion to lay down on to practice Yoga Nidra. If you are unable to attend a live class with a teacher, a recording of a teacher leading you through some specific steps in a class is equally beneficial. Optionally, you may also roll up a second mat to lay on in-between your shoulders, supporting your upper back and head, to have a gentle curve on your spine as you remain laying down. The teacher and the script they create is important in a Yoga Nidra class because they will be able to guide you into a sleep state without actually having to fall asleep. Yoga Nidra teachers are trained to guide you from Alpha brain wave states to Theta, to Beta, and Delta, at different points in the class. Each brain wave state has different effects on thoughts and the body. Beta – Awake and alert. Lots of brain activity. Alpha – Eyes closed. Serotonin is released which calms you down. Slower, more restorative brain activity. Theta – Meditative state. Also the brain waves when the body is in REM (rapid eye movement) stage of sleep – dreaming. Thoughts slow down and integration of learning happens. Release of emotions also happen in this state. Delta – The most relaxed and restorative state. Organs and body systems regenerate from stress and cortisol levels lower or are removed. – Although not all those who attend a Yoga Nidra class will reach this state, the Yoga Nidra experience is one of the few practices that can lead you to an even deeper state where thoughts are said to cease entirely. How does a guided Yoga Nidra class allow you to experience all of these brain wave states? The technique is founded on some steps which the Yoga Nidra teacher follows when creating a script. This script focuses on certain areas of the body and consciousness to bring practitioners into yogic sleep where they can experience the benefits of rest and rejuvenation while staying awake. Free recordings of Yoga Nidra classes are available online or you may book a private session with a teacher who can create a custom script for you that addresses the specific details that contribute to your insomnia. At the start of a Yoga Nidra guided practice, you will simply lie down and close your eyes. You will be invited to completely relax, but not fall asleep. You will be encouraged to remain alert – however, for those who are practicing Yoga Nidra specifically for insomnia, this reminder to remain awake and alert may not be as emphasized as in a regular Yoga Nidra class. Once the body is fully relaxed and the mind has opened into a more sub-conscious state, the Sankalpa, or resolve may be planted. This resolve should be one that the practitioner is ready to accept and absorb. The intention is not to fulfill a wish or desire, but to strengthen the resolve of the mind to spark transformation of life patterns in physical, emotional, mental, and spiritual levels. The teacher will then bring your awareness to different body parts, starting with the right thumb. This is to get your entire consciousness to focus on each and every part of your physical body first and then finally to breath. Bringing awareness to the breath, allows even deeper relaxation and allows your mind to enter into even further subconscious brain wave states. If your teacher is aware of a specific reason you are taking a guided Yoga Nidra class, they may be able to guide you through specific visualizations that will help you release the feelings, sensations, memories, or emotions that you are holding on to that may be causing your disease or insomnia. The teacher may then choose to end the visualization with an uplifting symbol of hope such as a flower, butterfly, tree, cross, or other symbol that resonates and has deep meaning for you to replace the sad, traumatic memories with one of hope and resolve to begin anew. Your teacher will then guide you to bring your awareness towards the feelings and sensations that are arising and will invite you to integrate them or release them. In the final moments of a guided Yoga Nidra class for insomnia, the teacher will remind you and your subconscious of the seed of the resolve that was planted from earlier. Allowing you to integrate your visions from your yogic sleep in your own way and bring them back into your regular life. Yoga Nidra for insomnia is not only a good relaxation technique to address the symptoms of insomnia, but allows your entire body to enter a state of deep rest, rejuvenation, and restoration that aids in more rapid healing and mental clarity.